A Tale of Two Mockingbirds, Orville and Wilbur, who fell out of their nest. We fed them and helped them learn to fly. 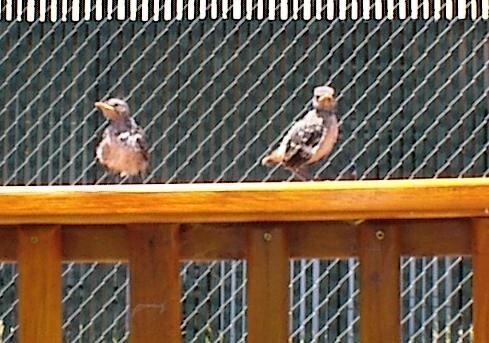 These two mockingbirds were our little success story.